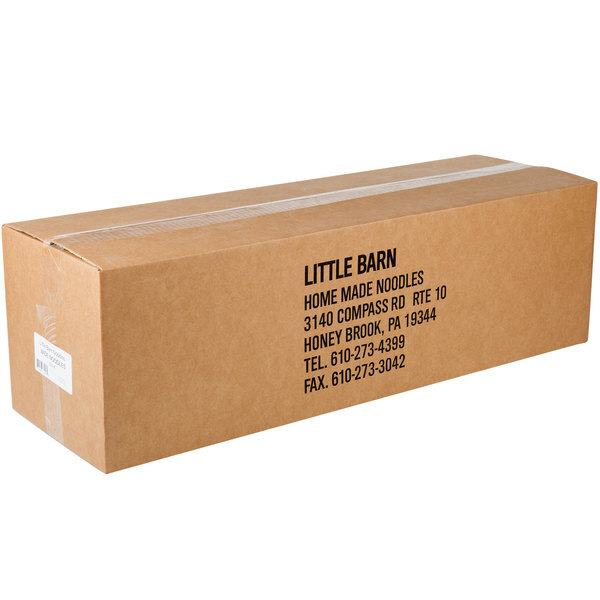 Prepare perfect chicken soup, every time, with these Little Barn Noodles 5 lb. 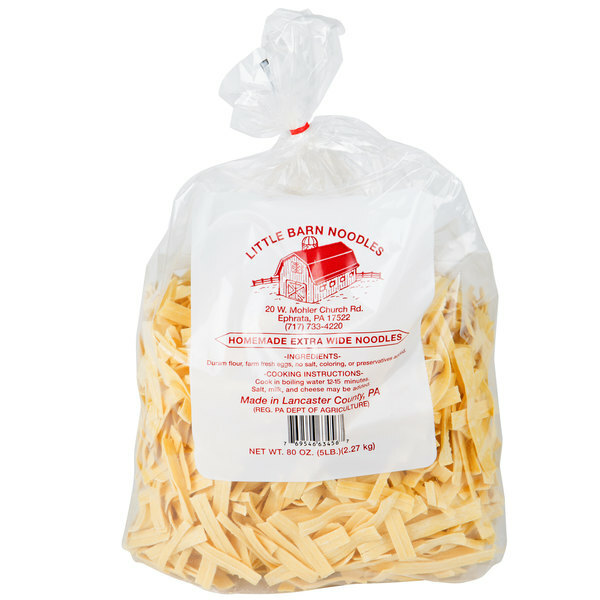 homemade wide egg noodles! 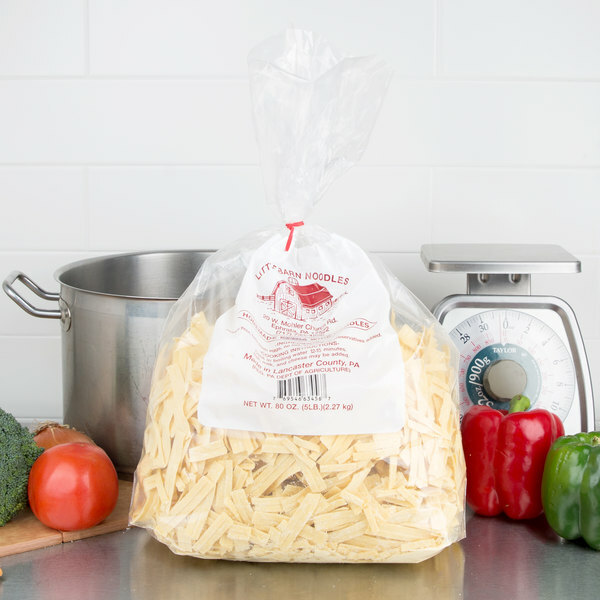 These egg noodles feature simple ingredients for a homemade taste. 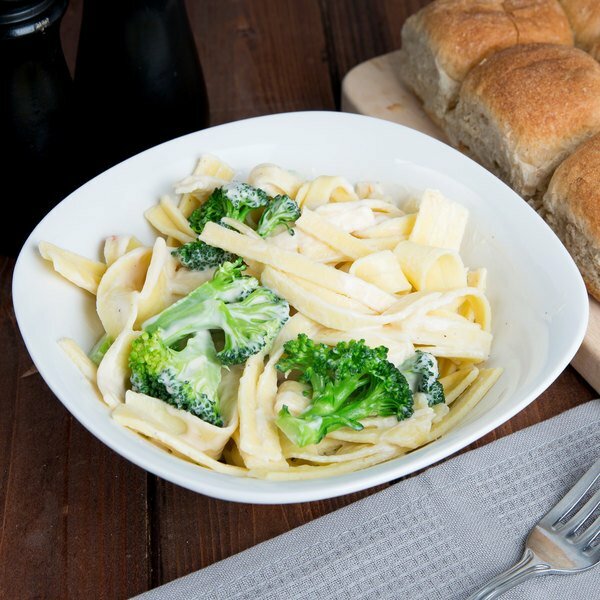 By combining flour and eggs in the perfect proportions, these wide-cut noodles ensure a versatile addition to your signature soups and pasta dishes. 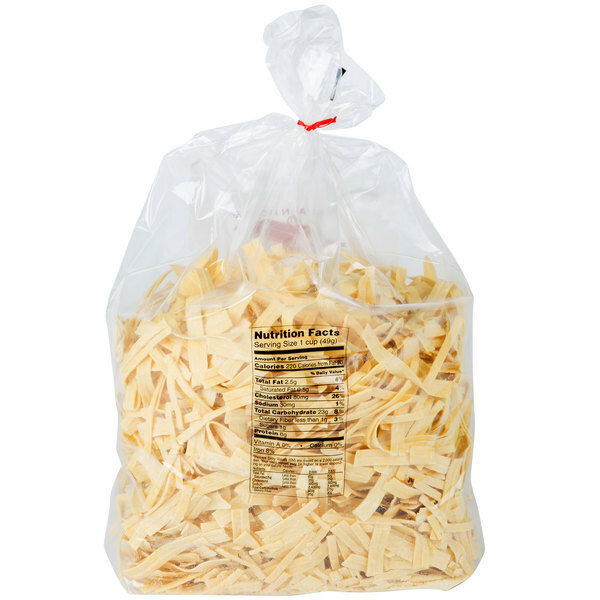 These egg noodles contain no salt, coloring, or preservatives. To cook, simply place in boiling water for 7-10 minutes. Add salt, milk, and cheese if desired. 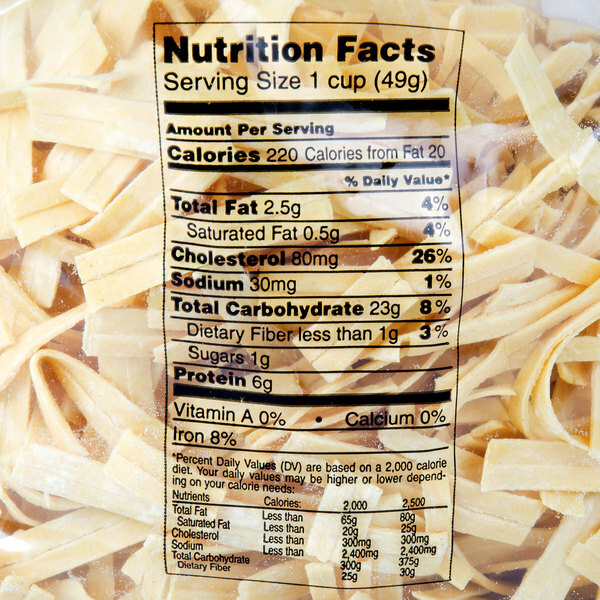 With 6g of protein per serving, they're sure to be a filling addition to your menu.